Founded in 2012 by Mark Hawwa after being inspired by an image of Mad Men’s fictional character Don Draper upon a classic Matchless Motorcycle, international charity event ‘The Distinguished Gentleman's Ride’ returns for the 7th year running, as stylishly dressed motorcyclists take to the streets in over 650 cities across 95 countries in the support of men’s health on Sunday September 30th. With close to 1 million men losing their lives annually from suicide and prostate cancer, the annual event is calling on the community to stop men dying too young as shown with the hard hitting 2018 launch video. Witness over 120,000 men and women dressed in their finest attire riding their vintage and classic style motorcycles for charity in a city near you, raising funds and awareness for prostate cancer and mental health programs on behalf of official charity partner, The Movember Foundation. Having already raised over $13M USD for charity since 2013, The Distinguished Gentleman’s Ride is on a quest to raise a further $6M USD throughout the 2018 fundraising campaign which kick off on August 1st. This goal is made possible with the support of long standing global partners Triumph Motorcycles and Zenith Watches providing special rewards for fundraisers and the winners of the gentlefolk competition including modern classic motorcycles and luxury watches. Helmet partner Hedon Workshop will also be supplying exclusive DGR 2018 helmets to the Top 100 global fundraisers, as well as REV’IT!, the official safety apparel partner providing rewards for the Top 10 highest and Top 100-150 highest fundraisers. TRIUMPH MOTORCYCLES: With a long established history in producing some of the world’s most popular and recognisable motorcycles, Triumph Motorcycles continues its support of The Distinguished Gentleman's Ride through ongoing sponsorship and the donation of bikes from the modern classic range. Since 1902, Triumph has been at the forefront of producing motorcycles that have helped shape history with commuters, armed forces, and racers alike, helping to create the iconic status and universal appeal the brand is renowned for. Triumph Motorcycles proudly became The Distinguished Gentleman’s Ride’s first major sponsor in 2013, a partnership that has seen the event grow substantially through their support and passion in supporting men’s health. ZENITH WATCHES: Zenith Watches, one of the world’s oldest and prestigious watch brands are in the 3rd year of a 3 year commitment to support the event. As well as donating watches to be awarded as prizes to assist DGR in raising even more fundraising dollars for 2018. Zenith prides itself on creating precision movements solely in-house, pioneering the development of automatic integrated chronograph watches. The brand is amongst the most awarded Internationally, with no less than 2,333 chronometric prizes amongst its achievements. The partnership with The Distinguished Gentleman’s Ride is a natural one, with Zenith Watches being a long term supporter of historic and vintage motoring events. HEDON HELMETS: Hedon joined the ranks as a supporting partner in 2016 and since then has supplied DGR’s riders and ambassadors with timeless memento’s of their efforts and involvement in the event. Tired of conventional style, they set out on a mission to rethink the urban rider’s protective headgear. They wanted something bold, refined and nostalgic as a driving point above all else. A necessary quality accessory for the discerning rider. REV’IT! : REV’IT! is the newest addition to DGR’s supporting partnerships. While they have been long-standing supporters of the event in the past, 2018 is the year they have joined in full-stride!  Coming aboard as a safety apparel partner, REV’IT! is dedicated to producing quality protective clothing for the modern-day motorcyclist. REV’IT!’s Tailored Technology collection shows that you do not have to comprimise style when it comes to safety when participating in The Distinguished Gentleman's Ride or throughout your daily commute. With major cities such as Sydney, London, New York City, Los Angeles and Milan topping in excess of over 1,000+ motorcyclists per ride, the event is a site to behold and not to be missed. Visit the 2017 wrap up video for a taste of what to expect at your nearest Distinguished Gentleman’s Ride. To discover more about the rapid growth of the event, the philosophy behind the niche format and the causes that The Distinguished Gentleman’s Ride supports please visit the downloadable FAQ. The Movember Foundation is the leading men’s health charity, funding over 1,200 projects in 21 countries worldwide – focused on men’s mental health, suicide prevention, testicular and prostate cancer research, and support. To date, Movember has raised over $800 million worldwide to deliver innovative, breakthrough research and support programs that enable men to live happier, healthier and longer lives. "The past 6 years have seen The Distinguished Gentleman’s Ride grow far more than I ever could have imagined – not only in its reach and the number of participants of the ride itself, but in people that have made that decision to get themselves checked. Working with the Movember Foundation has allowed us to target key concerns in men’s health, helping us change the lives of men and helping them to live longer and happier. None of this would be made possible if not for the support and unity of Triumph Motorcycles and Zenith Watches. The collective passion of all these brilliant organisations is the fuel to The Distinguished Gentleman’s Ride, empowering all classic and custom motorcycle riders to bond together and put on the most dashing charity event this world has ever seen." "The support and passion from the ride hosts, volunteers and participants is overwhelming. The Distinguished Gentleman’s Ride is about bringing together the motorcycle community to ride dapper, fundraise for the Movember Foundation and most importantly have shoulder to shoulder conversations. If we can get man to ride together and have conversations, then we can help change their behaviour and help men stop dying too young. Thanks for fuelling the ride!"